If you ask the common man (or woman) “who is James Blake?” most would either answer “he’s an American Tennis player or p*** off . Yet, the 21 year old singer and producer from London has drawn great acclaim in his short career thus far in the underground realm and is being championed by Radio One’s Zane Lowe. His 2009 remix of Untold’s Stop What You Are Doing with it’s crunching synth and rising chord climax revealed an unconventional sound far removed from any wobble laden pop makeovers.In Springtime he released the CMYK EP which had 90’s r&b samples embedded such as Kelis’ Caught Out There and Aaliyah’s Are You That Somebody on the title track. The versatility of Mr Blake’s production and vocal dexterity is readily apparent on his latest Klavierwerke EP. Klavierwerke is German for piano works and this classically trained artiste uses the instrument as a focal point around sparse drum loop patterns and haunting echoes on “ I Only Know (What I Know Now)” On “Klavierwerke” Blake’s alternating vocal pitch layers over a beat reminiscent of a five ball metal pendulum. The synth led “Don’t You Think I Do” remains stagnant amidst the vocal nevertheless it remains absorbing as the majority of his work is. Whilst, “Tell Her Safe” has a rolling clink reverberation which lacks the emotive encapsulation of the other songs on the EP and feels more like an album filler. Blake’s songs build up in a measured but deliberate fashion and when that musical peak is reached you’re left intrigued as to what challenge awaits you next. The comparison with Burial would be easy to make as others have done. 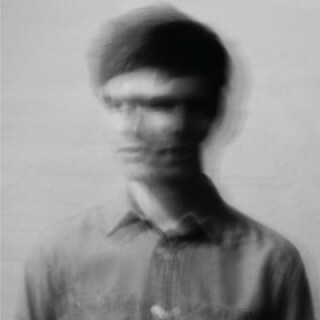 Yet, while the aforementioned producer was initially shrouded in anonymity James Blake is a personality not afraid of expressing or experimenting to the wider world his inner most feelings. The Klavierwerke EP is out now on R&S Records. This entry was posted on October 25, 2010 by adofo1. It was filed under Uncategorized and was tagged with Electronic, James Blake, Klavierwerke, Music, New, Post Dubstep, R&S Records.